In 2010, Twin Cities, MN (PRWEB) — a prominent outsourcing industry organ website – has listed Vietnam as one of the countries with highest growth rates in the IT Outsourcing industry over the last ten years . Since then, Vietnam has risen to become an Asia IT Outsourcing Tiger. Let’s find out Vietnam IT Industry’s major potential through this exciting numbers! 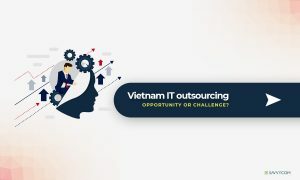 Vietnam IT outsourcing – Opportunity or Challenge?